It's three years after the death of Aral Vorkosigan, and Cordelia, having spent those years grieving and serving solo as the Vicereine of Sergyar is starting to work out plans for the next stage in her life. Those plans include eggs and sperm she and Aral had frozen many years ago, when they did not yet know that Miles would be damaged in utero in ways that would make the existence of any other sons a threat to him. But Cordelia always wanted a large family, the many children she could never have had on Beta Colony. Now, Miles is in his forties, the unquestioned Count Vorkosigan, and if she has only daughters, by Barrayaran law they will be only hers. And Aral's will made it unambiguously clear and certain that disposal of both sets of gametes, his sperm and her eggs, was entirely hers. While she's juggling her duties in her last year as Vicereine and her preparations for being a mother again, something else is going on. Admiral Oliver Jole, the commanding officer on the military side at Sergyar, is interested. And she, Jole, and Aral have a history that few people know about. In past novels, we've often not seen enough of Cordelia. This story is all hers, and everyone else, including Miles, just has to try to keep up. Miles himself is now in his forties, a father of six, and increasingly having to deal with the combined effects of the in utero damage and his extremely active ImpSec career. 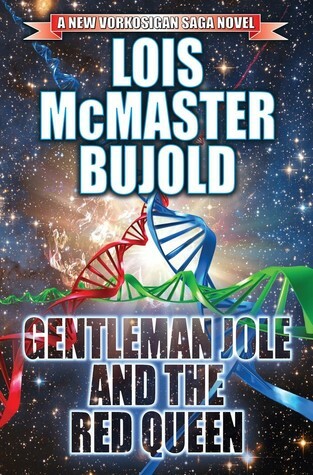 Cordelia, Jole, Miles, and others (including an aide of Jole's and a cultural attache from the Cetagandan consulate) all grow and develop in interesting and enjoyable ways, while facing challenges that I will leave readers to discover for themselves. This book doesn't have the breakneck speed and juggling of multiple life--or-death crises of one of Miles' adventures, but it's exciting, engaging, and absorbing in its own, quieter way.